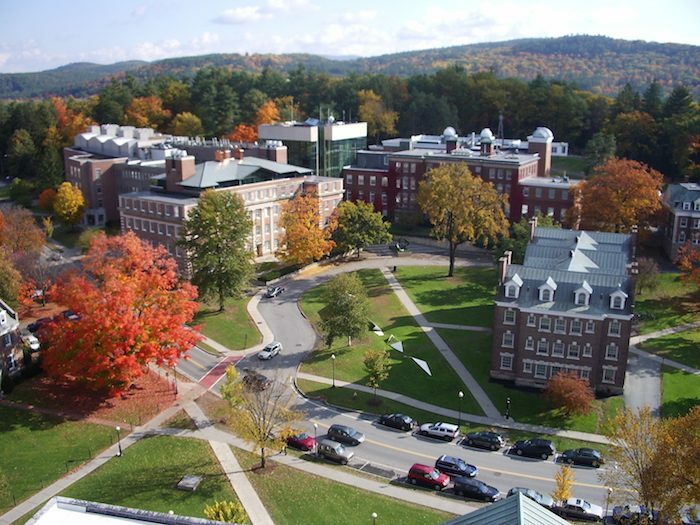 Dartmouth College: Fall symbolizes back to school time, so why not get your foliage fix with a run around one of New England’s most scenic college campuses? Dartmouth College, on the Connecticut River in Hanover, is known for its stately brick buildings and large, active outing club — so you know it’s supremely runnable. Enjoy a long jaunt along the banks of the river on River Road, or explore the landscaping of campus to find a flourish of fall leaves set against a classic New England backdrop. The Lyme Road and Rip Road, which run alongside campus, are a great addition to any run and serve as easements to some beautiful nature preserves and recreation areas. For more ideas on running routes in the Hanover area, check out the interactive map from Dartmouth’s Cross Country Team. Washington: The whitewashed church and town hall of Washington center make a lovely foreground to the brightly colored foliage that lines the New Hampshire hills come autumn. 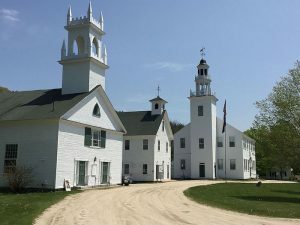 Although Washington shares its name with New Hampshire’s highest peak, this small New England town is just South of Mount Sunapee. Route 31, which runs through the town center, is rather narrow, but the gorgeous side streets encircling the region’s lakes make for incredible runs. Try the Halfmoon Pond Road (6+ miles to the Washington Town Forest) or the Clemac Trail Road, which runs for ~3 miles along Butterfield Pond in Pillsbury State Park. With foliage lined hills reflecting on boggy ponds, you can’t beat these views.